How did the UK's millionaires earn their millions - and how do they invest? Perhaps the example of these successful people can give us some ideas on getting richer? 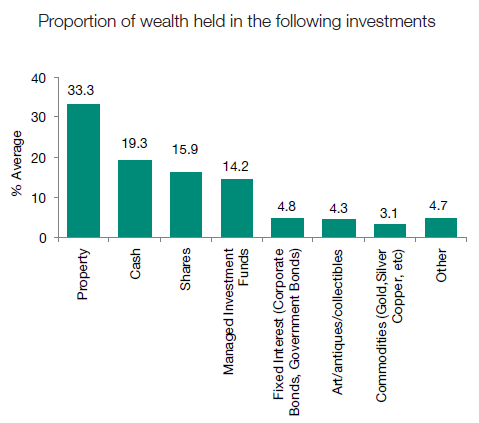 A recently published survey from wealth management business Skandia (part of Old Mutual) investigated the financial affairs of 549 millionaires - defined as someone possessing net investable assets of £1 million or over (8.5% possessed over £3 million in next investable assets). Of the millionaires surveyed, 57% were male; 43% female; they were almost evenly divided into 'under 50' and 'over 50'. How Do They Invest It? The majority (two-thirds) consider themselves to be 'savers' rather than 'spenders'. Millionaires typically have a high threshold for risk and their dominant investment objective is capital growth rather than capital preservation. 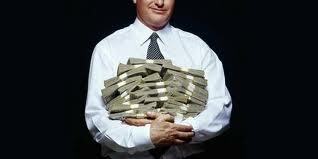 Less than a third trust financial advisors with their money. Perhaps surprisingly, there is nothing unusual in the way they invest their money. There is a strong preference for property, with a third of their wealth held in bricks and mortar. A similar amount is held in the stock market (16% in shares; 14% in managed funds, and 5% in fixed income instruments such as bonds and gilts). A substantial proportion - nearly one-fifth - is held in cash. Comparing this allocation with my own is difficult, as a substantial part of my wealth (such as it is!) is in pensions, both 'final salary' and 'contribution based'. My (and probably most people's) proportion of property is higher. My cash holdings form a lower proportion, although if I include my 'final salary' pension (which is like 'cash in the bank') it gets closer to the proportion of cash held by millionaires. Most millionaires seem to trust their own financial judgement to that of 'professionals' - so I guess most are DIY Investors. However, no emphasis on income-oriented investment strategy emerges from the survey, although it does not look like that aspect of investing was specifically explored. Perhaps the overall conclusion is - millionaires are not so different to the rest of us!